Thursday - April 23rd, 2015: This was the first day of my first music tour, and it was a good one. The first night consisted of me talking with one of the senior girls for a couple hours (even though there was no reason she had to talk to me), and then one of my best friends and I went outside to the swings. 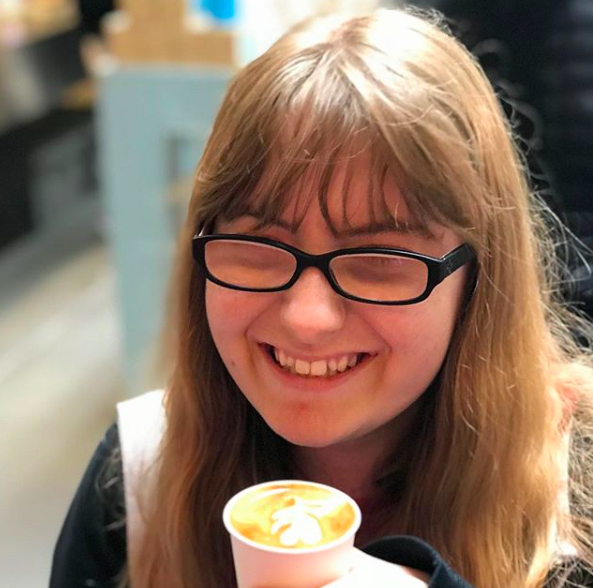 I've actually written an entire post about this day, and if you want to read that you can do so here. Thursday - April 14th, 2016: The first day of my second music tour wasn't as interesting as the first year. What I remember the most was the first night, when we were staying in a school gym and it was so windy that the windows at the top kept banging open and shut. This was also the day where I listened to Hamilton for the first time, as my friend Janae had been trying to get me to listen to it for forever and realized she had a chance to make me listen to it when I had no way of leaving. I'm glad she made me, though, because it's one of my favorite musicals two years later. Wednesday - April 26th, 2017: Every time I've moved while in California, I've gone further and further north. This means that when your teacher decides to go to LA for music tour, it takes longer than when your teacher from your old school decided to take you to LA for music tour the previous year. The bus ride seemingly took forever, and I remember that all I really did was play Heads Up with three other girls from last year's senior class. Wednesday - April 25th, 2018: This day was a weird one for me. 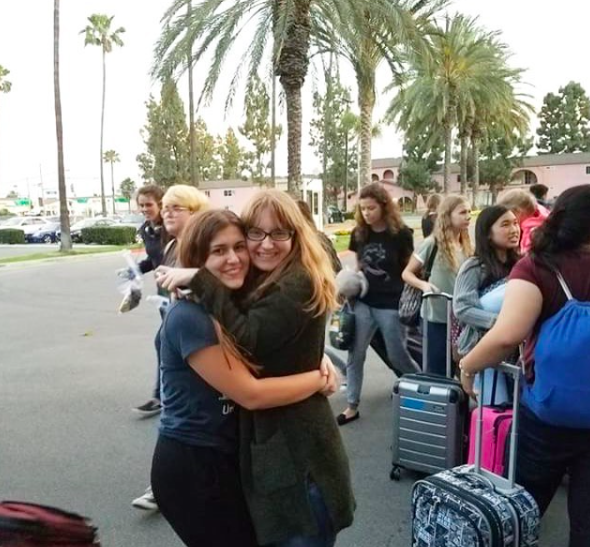 We didn't have to travel very far, so the bus ride wasn't that long, but after spending three hours in a mall during a stop for lunch, I was more emotionally exhausted than I tend to be on the first day of music tour. 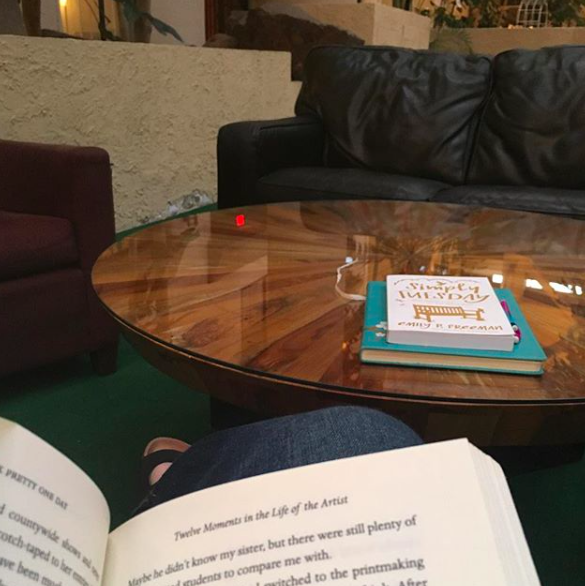 Because of this, I wasn't in the most social mood, and I couldn't have been happier when I found a quiet place to read in the midst of the busy hotel. Friday - April 24th, 2015: Day two of year one consisted of me finding more swings, listening to the band play songs that would be stuck in my head for the remainder of the school year, and finding some more swings to occupy my time when there wasn't much else to do. Friday - April 15th, 2016: Anyone who has been reading these consistently for the past couple months will know that I love Los Angles. When my school took us there for music tour, I was happy to know that I'd be able to visit the city itself for a few hours. 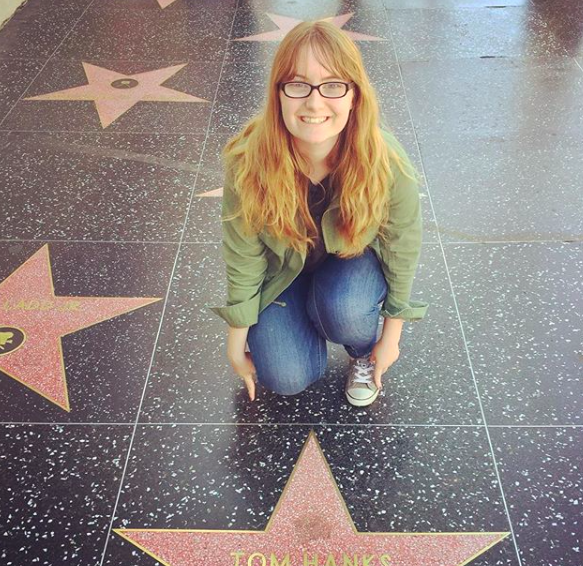 I went back to Griffith Observatory and sat in front of the star wall for longer than everyone else, and went back to Tom Hanks' star even though I'd just been there a few weeks earlier (because of course I did). Thursday - April 27th, 2017: Day two of my third music tour is arguably one of the worst days of my high school experience. Parts of the day (like singing at Knottsberry Farm) were really cool, but other parts of it left me in my hotel room crying while on the phone to my mom. But even though this day isn't one that I look back on fondly, I learned that I have really good friends, and that's always good to be reminded of. Thursday - April 26th, 2018: The second day of my final music tour was spent in San Francisco, where I had one of the best days of 2018 thus far. I walked around Pier 39 with some of my favorite people and ate the most delicious strawberries I've ever had. I had an amazing macchiato and an even more amazing gluten-free sandwich with avocados. Thursday was a really good food day, but also a really good music day. We were lucky enough to see the San Francisco a symphony, where we listened to an incredible group of musicians and I sat next to my most sarcastic friend and nicely mocked the tippny player. This was a good day. Saturday - April 25th, 2015: What I remember most from this day was eating lunch at the church we'd been singing at and then singing our thank you like I'd seen multiple high school choirs do over the years. It was strange, and I'm glad I haven't had to do that since. I also remember that I played a flute for the first time in about a year. It was just a scale, but it was enough to remind me why I still don't play now. Saturday - April 16th, 2016: I don't remember much of this day, but I do remember that I was really happy the whole time. I borrowed jeans from another friend because I always under pack for music tours. I took polaroids with other friends and talked by our sleeping bags for hours. Friday - April 28th, 2017: This was a good day. There were beautiful sunsets, a beautiful church, and I laughed a lot. Considering the day before had been an utter disaster, this day was a breath of fresh air. There were chairs that would shock you if you moved them too quickly (as I learned from experience), and the sound of some of my favorite people singing some of my favorite songs. Friday - April 27th, 2018: I am someone who, while scared of many things, doesn't mind facing their fears every so often. One of my biggest fears is wide open waters that I could potentially drown in. Still, upon hearing that we'd get to go kayaking on our third day, I was excited. Annaliese became my paddle buddy as well as an encouraging teacher. Even though there were moments when I was definitely afraid of what I was doing, I can honestly see myself kayaking again in the very near future. 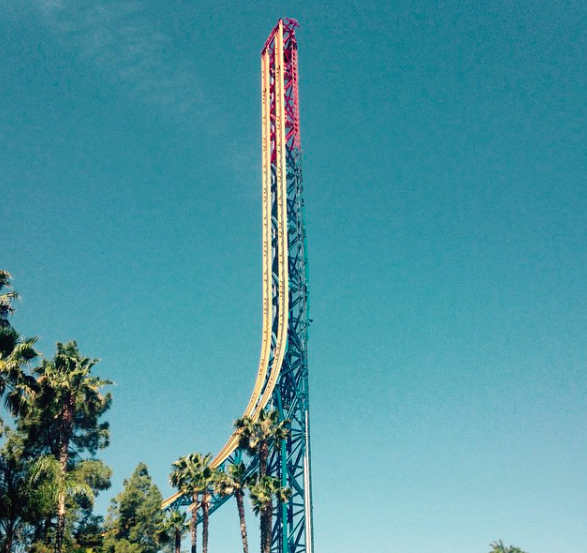 Sunday - April 26th, 2015: The last day of my first music tour was spent at Six Flags, and I quickly discovered that Six Flags and is not for me. I've never liked roller coasters, so my time there was spent watching everyone else's bags and acting like the mother of the group. It really wasn't my favorite day, but I liked listening to Hamilton on the way home. Sunday - April 17th, 2016: Once again, I found myself at Six Flags for the last day of music tour. This time, though, I couldn't escape the arms of my friends as they dragged me onto a roller coaster. "It's for little kids," they said. "It'll be fine!" they said. They lied. After looking at the chart later, I discovered that the roller coaster they'd chosen for me (appropriertly named Ninga) was one of the worst ones, though it was pretty short and had no loops or drops. 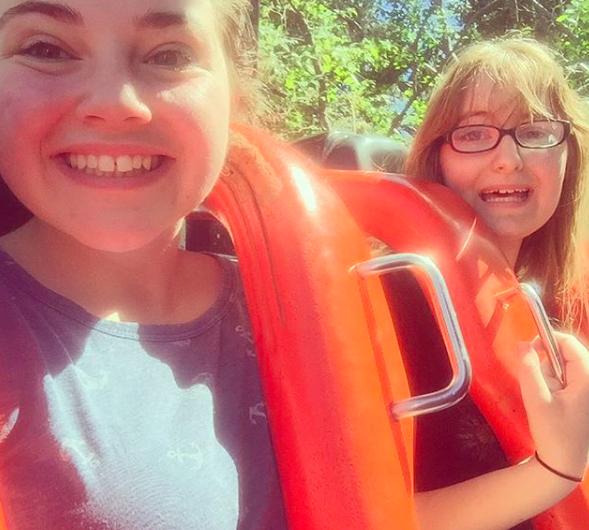 My friend Joli actually took a video of me on the roller coaster, and, let me tell you, it was a sight to see. Saturday - April 29th, 2017: This was a day that I will always look back on with happiness. It was my half birthday, which always fills me with an odd sense of joy. I undid a braid of my friend Julia who had been swimming and ended up with broken elastics and wet jeans due to her dripping hair (but I wouldn't trade that hour of laughing and listening to Ed Sheeran for anything). I saw Into the Woods, and took pictures that I always look back on with feelings of love and peace. 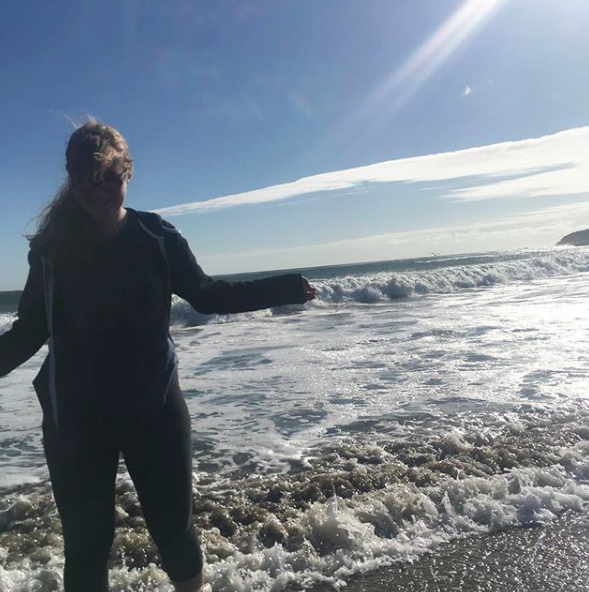 Saturday - April 28th, 2018: I'd forgotten just how much I love being at the beach and playing in the waves, and this was the day where I was happily reminded. I know I said earlier that I'm afraid of open oceans, but I do love the waves, and running around in them as a highlight of this music tour. In my four years of high school, I've had really good experiences and opportunities to go to cool places. Being part of choir gave me many of those opportunities, and these four music tours will always remain some of my favorite memories from high school. I've come back from some heartbroken and sunburned, but I've come back from others happily refreshed and ready for the homestretch of the school year. Music tours have been a time where I look back on the year I've just had, and try to imagine what the year ahead will bring. They are a time when bonds grow closer, and a time when you start to realize how important everyone around you is and just how much you love them. I've been very lucky to have four years of these experiences, and I wouldn't trade any of them for anything else.